Many thanks for the yummy recipe! While I believe everything is better with chicken :), I might try this as a vegetable only meal…especially on a “meatless Monday”. Economical and great way to eat more vegetables. There was so little chicken in it. I used what was left in a bag, and it wasn’t much:) I think it would be great vegetarian. Oh my goodness that looks delicious and so easy to make! I’m a huge fan of Asian type foods because they contain so many wonderful veggies. I’ll have to put cashews on my shopping list and make this soon. Thanks for sharing the recipe! Becky, I have been following your blog for over a year. 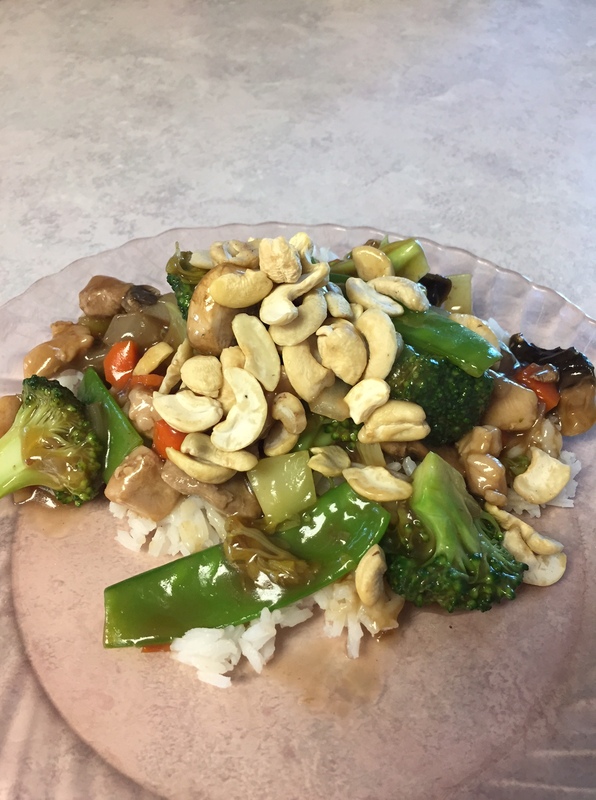 I just wanted you to know that I made this Cashew Chicken recipe tonight for dinner and it was WONDERFUL!!! I made a couple of changes though, I used a bag of frozen stir fry vegetables instead of the fresh vegetables and I added a can of water chestnuts and some cauliflower to mine. My husband loved it! Thanks for the recipe. Blessings to you and your family! Thank you. I’ve never used stir-fry veggies in it. It sounds great! Water chestnuts are a favorite of mine. I’ll have to throw some in next time! I’m glad you liked it. Sounds delish and especially handy meal for home gardeners who can pick just what they want to put in.. Yes. And celery, onion and carrots are very reasonable, at any time of year. If that’s what I have, that’s what I’ve used in the past. I will say I have used frozen broccoli and it’s not as nice, but it is edible. Thank you for sharing this recipe.. sounds sooooooooooo good. 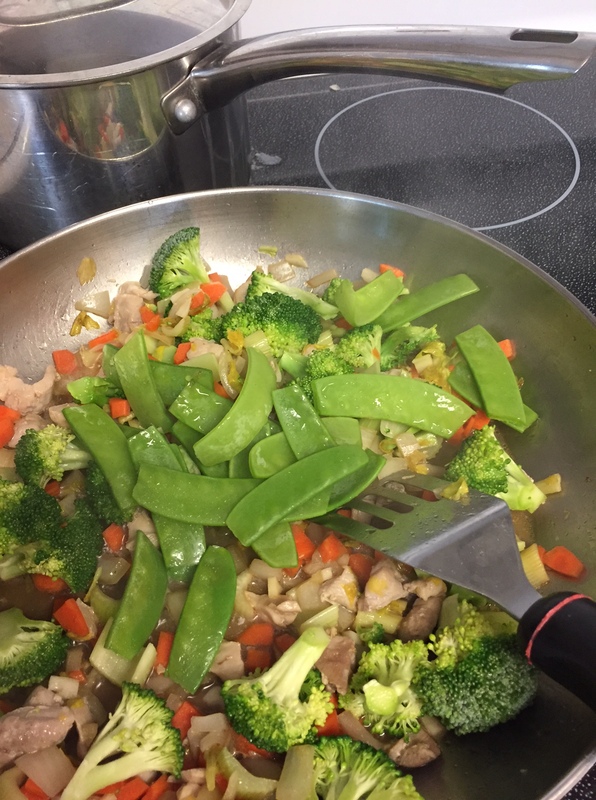 I love stir fry and love that you can use whatever veggies you already have.. I will be trying this soon.. yummy..
I’m so glad I FOUND it after the move. We love it. It really tastes great! Enjoy! Hello, I thought I would drop by to see how you are doing while the butter softens. I’m going to make some bread.. I really like reading your blog. I really wanted to try the chicken recipe this past weekend but I was sick.. Mondays is chicken day so I will try it this coming Monday. This recipe not only looks delicious, but sounds extraordinary! Thank you for stopping by and visiting my blog. I am looking forward to reading your older posts and getting to “know” you a little bit.